At AC Dental of Langhorne, we know that you always want to look and feel your best; and a dazzling, healthy smile is a vital component to help infuse vitality and beauty in your appearance. With our expert dental services, we can perform professional oral health care that’s both hassle-free and affordable. Occasionally, a circumstance may occur, such as severe decay or even an injury, that requires a dental extraction, or removal of the tooth. This procedure is commonly performed on wisdom teeth but can be used to extract any other tooth when deemed necessary for overall oral health. Why Might You Need An Extraction? 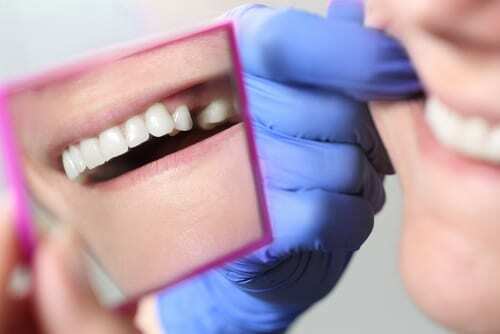 Before any tooth removal, we’ll consider if any other options can be performed to save the tooth. The conditions leading to or necessitating an extraction can vary, but one reason includes severe infection, where root canal treatment has been deemed ineffective or unuseful to save the teeth. Another cause requiring a dental extraction is to alleviate the overcrowding of teeth. This typically precedes orthodontic work. Another reason for removal is to provide relief for impacted teeth, such as wisdom teeth. Typically, an extraction involves taking x-rays to determine the area of the tooth and to assess it and identify the severity of the rot, decay, impaction, or fracture that is affecting it. This will prove useful to inform the decision of the dental care provider during the extraction procedure. After properly assessing the affected tooth, our highly-skilled dentists at AC Dental of Langhorne will address our Levittown and Fairless Hills patients’ particular needs regarding options for sedation or anesthesia, and proceed with a customized solution for each patient. We want this process to be smooth, stress-free, and as painless as possible for you, and that’s why we provide you with a thorough and comprehensive experience with our dental surgery. Once you’ve been sedated or anesthetized, we’ll carefully, gently, and safely perform the extraction. The tooth will be expertly removed, the area will be thoroughly cleaned and disinfected, and then gauze will be applied to help curtail any bleeding and aid with blood clotting. Special care must be taken after a tooth removal procedure to ensure it stays clean, healthy, and free of complications. We also want to keep you as free as possible from any pain or discomfort after the surgery. After your extraction, there may be some residual bleeding, so it’s important to leave your gauze in for the recommended period of time. Applying ice to the outside of the affected cheek and taking pain relievers or anti-inflammatory medications is also ideal to reduce swelling and alleviate any pain or discomfort that you’re feeling. Occasionally rinsing your mouth with warm salt water and avoiding extremely cold or hot foods is crucial to the healing process following a tooth extraction. Refraining from spitting or using a straw for six hours after the procedure is recommended, as is smoking, which can hinder recovery and healing. In any case where a tooth needs to be extracted, there’s no need to be concerned about the space it leaves behind or the effect it may have on your smile or appearance. We feature highly-trained oral specialists who can work with you to create customized options with a variety to tooth replacement methods, all to get your smile looking better than it ever did. At AC Dental of Langhorne, we provide emergency dental care and dental fillings, and we’re committed to providing our patients in Fairless Hills, Levittown, and the surrounding areas with professional oral care to help them improve their oral health and add confidence with a dazzling smile. To make an appointment for tooth extraction, or for information on any of our other services like cosmetic dentistry, call us at 267-544-7017.